Doctor Who has enjoyed a close relationship with Australia since the very beginning, with several key writers, a popular companion (Tegan) and even the composer of the famous theme music being Aussies. The show enjoyed a loyal following on the Australian Broadcasting Commission (ABC) from 1964 until the end of the original series in 1989. 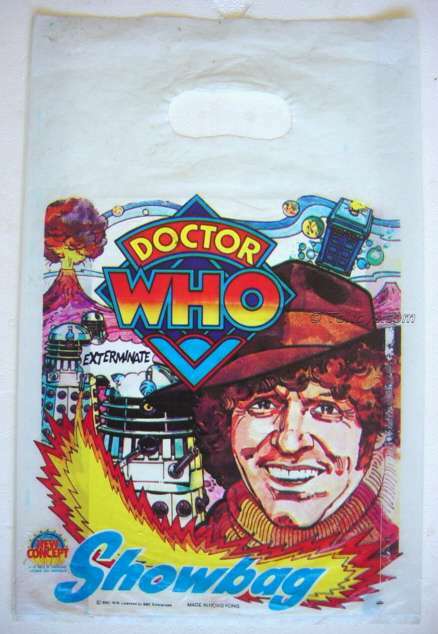 As a child of the 70’s my Doctor of choice is and always will be Tom Baker. He was beatified in 1981 by the Australian licensing gods with his own Streets ice cream, which as you know by now (if you’ve read my blog before anyway) is a sure sign that you have officially arrived Down Under. 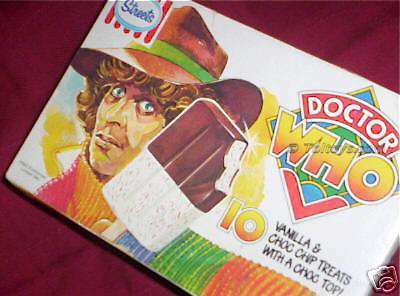 The TV ad for these ice creams has also turned up, with a grainy VHS copy uploaded to You Tube in 2011 by some kind soul. 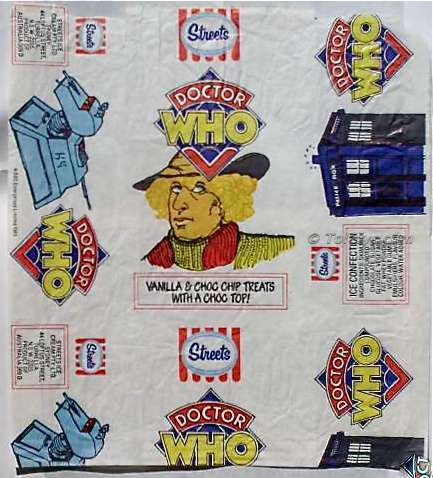 The ice cream box and wrapper are extremely tough to find, I believe only one example of each has appeaered on Oz Ebay in 13 years. While I wasn’t able to win them I did manage to swipe the pics, they are poor quality but what can you do? If you were the lucky purchaser (or seller) of either of these items I’d like to both apologise for my use of your pics and plead for new ones! Another exclusive-to-Australia piece of Whomabilia is the rare “Showbag”, a plastic bag of cheap toys and ephemera sold at local agricultural and royal society exhibitions throughout the country, notably the Royal Melbourne Show. 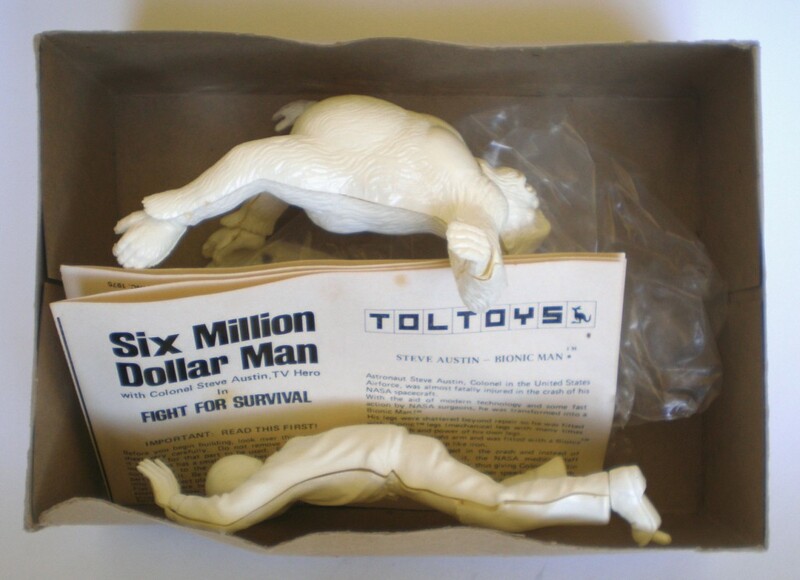 I sold the example below on ebay many years ago, and it is now one of the very few items I regret parting with. Another couple have turned up over the years, I cant find any references to what was inside but if any of the Whomaniacs out there know drop me a line and I’ll update this post. 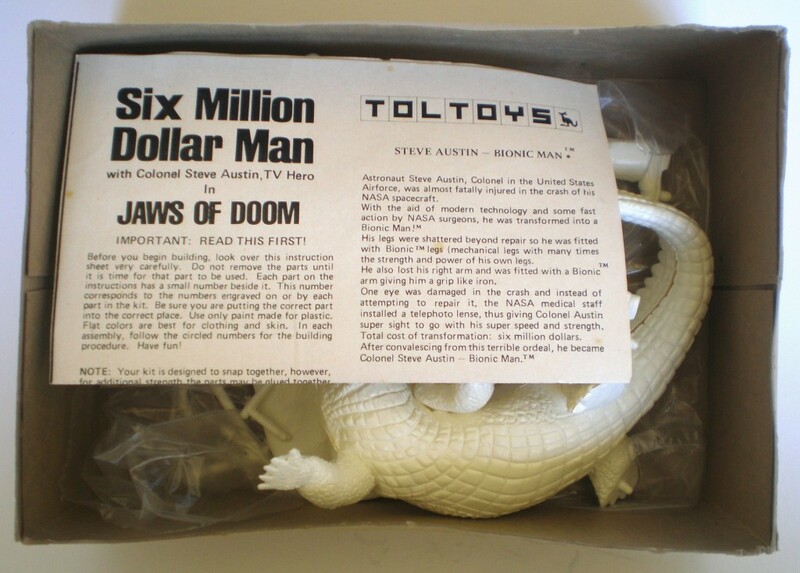 Issued outside Australia by Fundimensions, these great unpainted snap-together kits featured Steve Austin wrestling an alligator in “Jaws of Doom” and lifting a gorilla in “Fight for Survival”, which I presume is named for the ape! 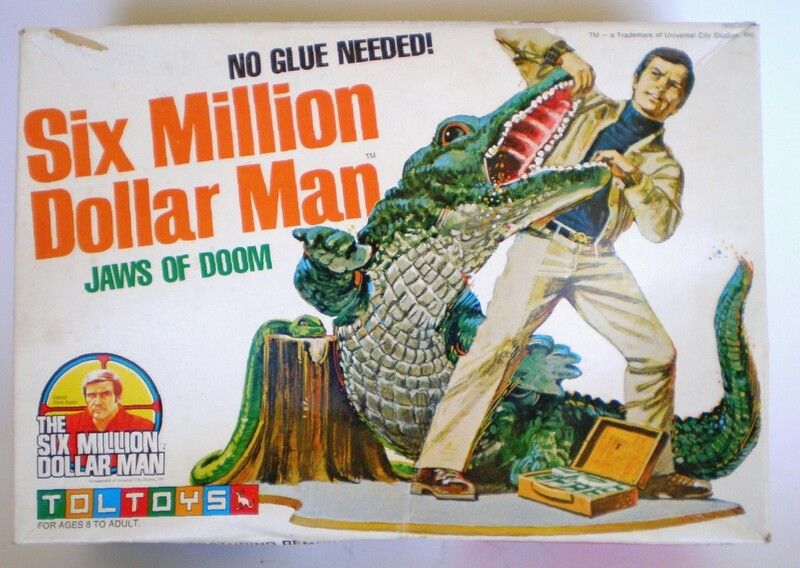 The best feature of these for the unskilled modeller (such as myself) is that they required no glue, a fact trumpeted on the box art. 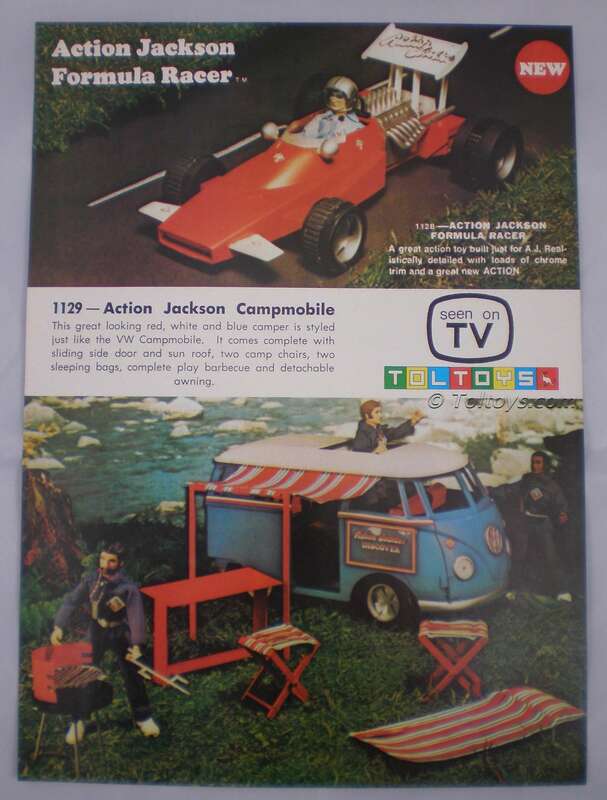 Recently dug up this cool double sided Toltoys promotional flyer featuring three 1970’s MEGO Action Jackson accessories. All three items are scarce today, particularly when boxed. The Action Jackson Formula Racer had an Aussie cousin, a yet to be formally documented promotional release in BP livery, if you have one I’m buying! 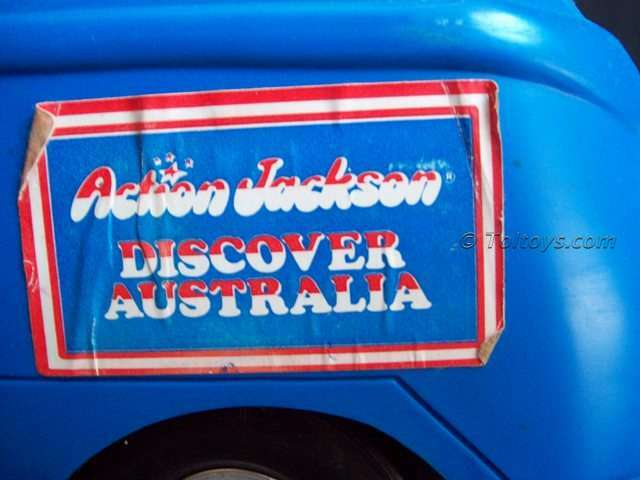 The Action Jackson Campmobile is a great VW Combi playset, Toltoys changed the “Discover America” sticker on the door to “Discover Australia” for the local release, but only managed to scratch out the “America” for the promo flyer shown above. The Toltoys “Discover Australia” door sticker. 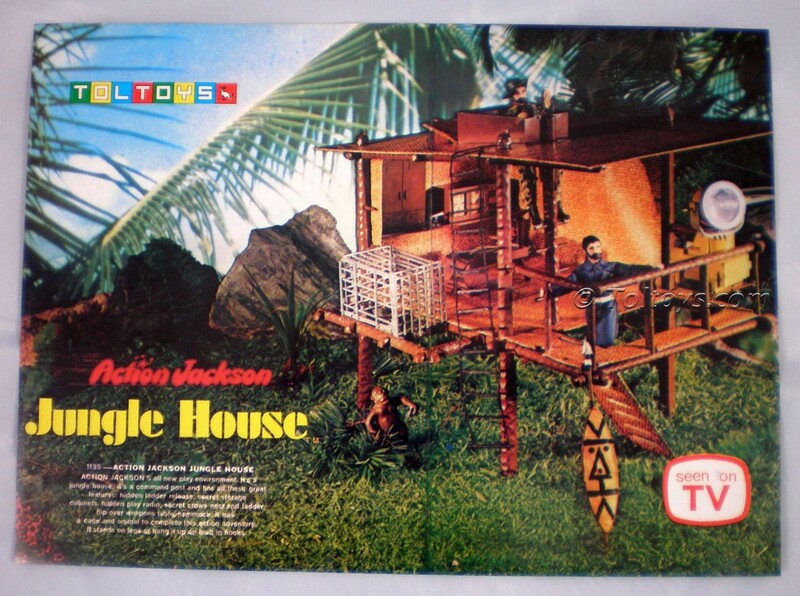 The reverse of the flyer shows the large Action Jackson “Jungle House”. 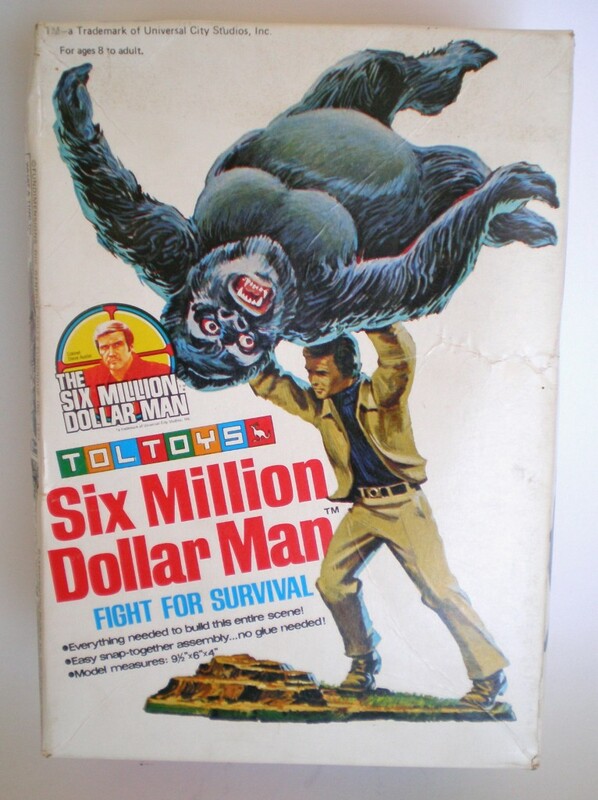 This great playset is better known by its later release as the MEGO Planet of the Apes Treehouse. Thanks to Toltoys Kid reader “robspromos” I’m delighted to present the complete set of shrinkie premiums from the 1979 Nabisco Weeties Australia cereal tie-in. A small set of five that were issued in these boxes, and very tough to find. A bit of a strange mix of characters and ships, but kids weren’t complaining when V.I.N.CENT, Maximillian, Charles Pizer, The Cygnus or Palomino fell into their bowls! Well maybe a few complaints about Charles. 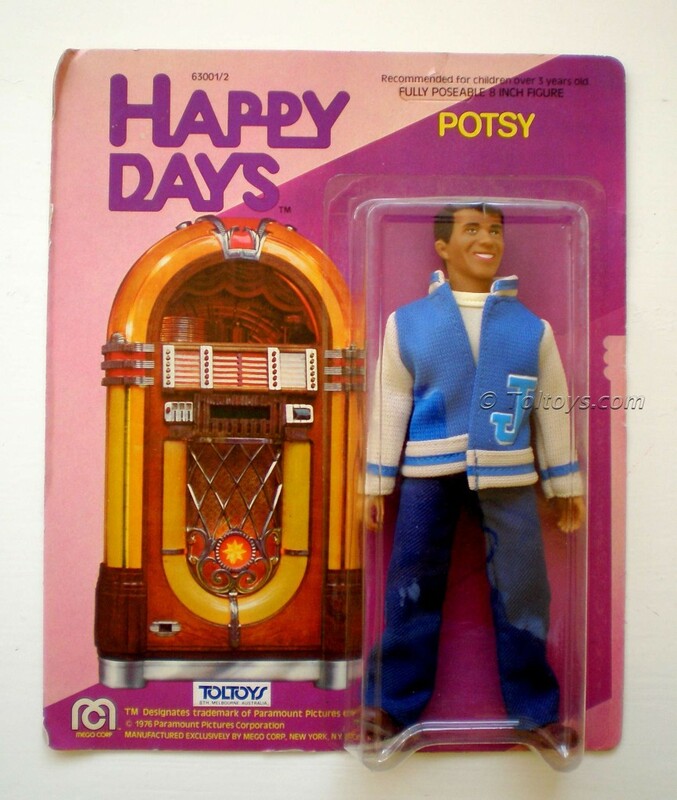 One of the most viewed posts here on Toltoys Kid is the entry featuring Willy Water Bug. I receive regular requests asking where they can be found today, unfortunatey I’m not much help, suggesting they start a ongoing search on ebay. 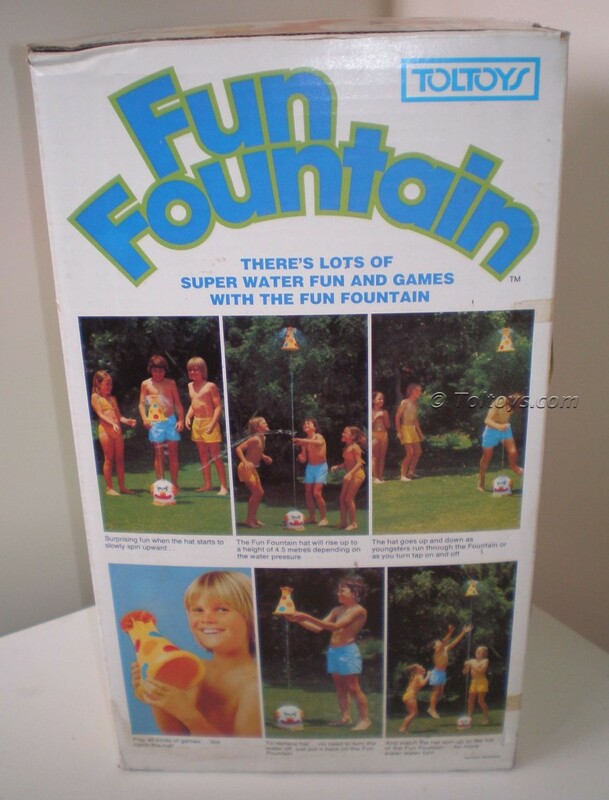 It seems the kids of the 70’s want their kids today to enjoy the same summer fun we had, running on the lawn with water splashing everywhere and not a care in the world. 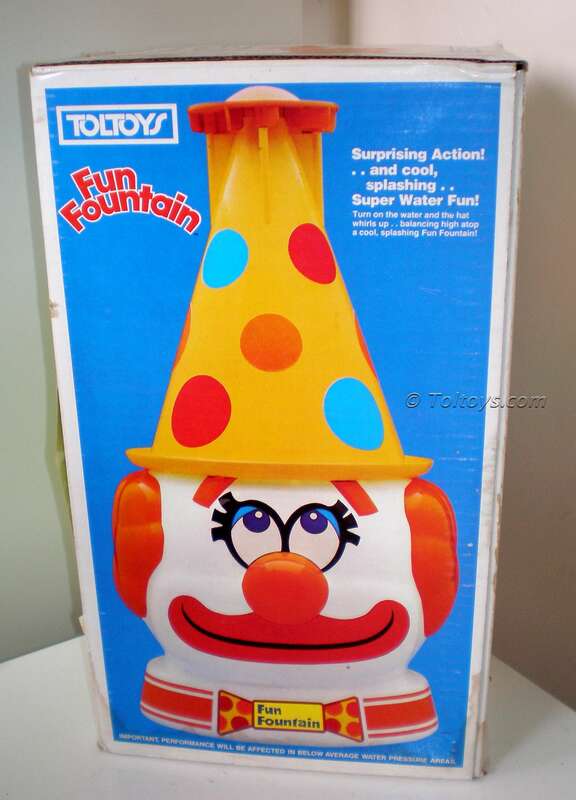 I feel I may be in for more requests with today’s post featuring a cousin of Willy, the Wham-O “Fun Fountain” clown sprinkler. The example below is again the Toltoys Australia branded version, I was lucky enough to find this guy in mint unused condition. 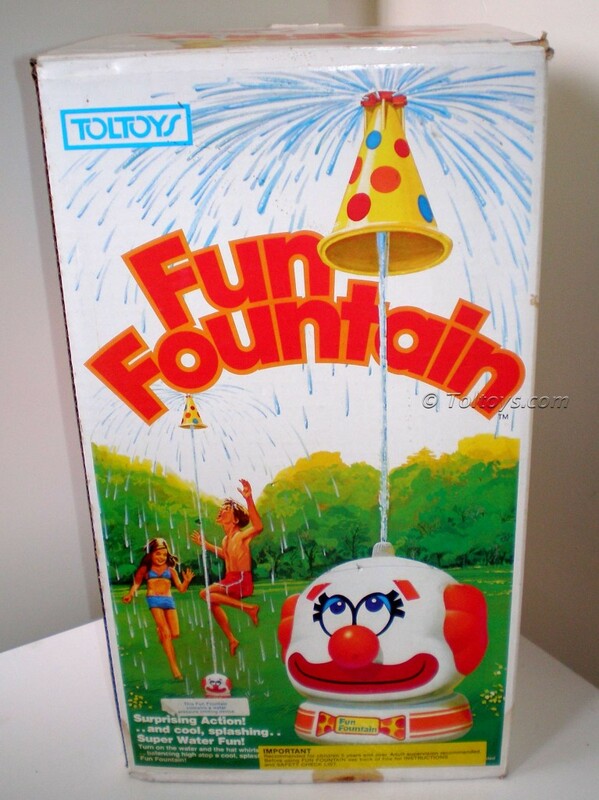 When the hose is attached to the base and the water turned on, the hat rises above the head on a stream of water. 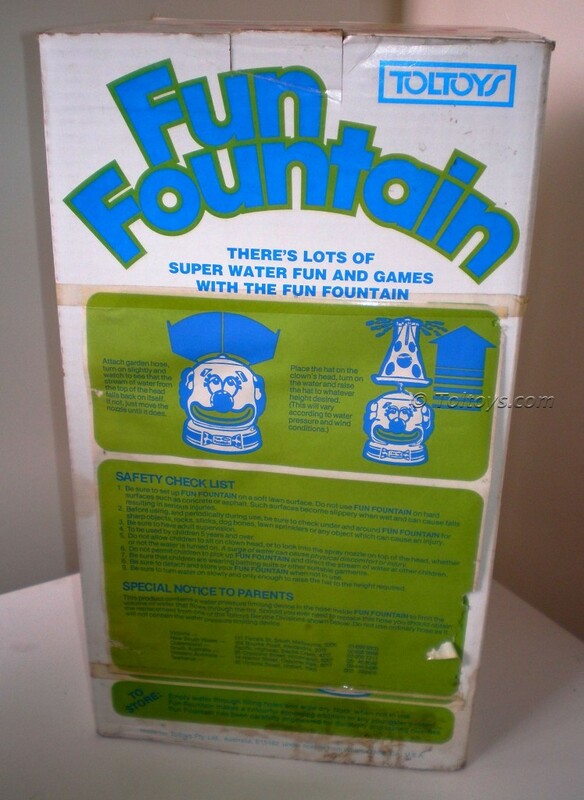 Unlike Willy Water Bug I do remember this toy, in particular hitting the hat by swinging a cricket bat at it. Really loved the 70’s I did. This is actually the third time I have blogged about this particular promotion, the first time I was speculating as to whether it had ever actually gone ahead, the second time I was delighted to confirm it had by producing a cut back and side panel from the box, and now finaly I have a complete box to present. 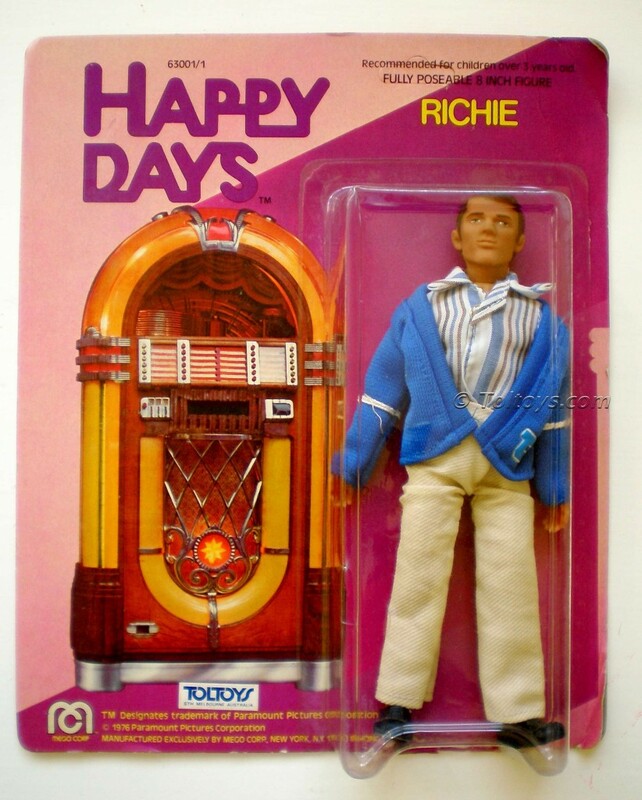 Now the search is on to find some (presumably) bagged figures from this promotion. Someday! 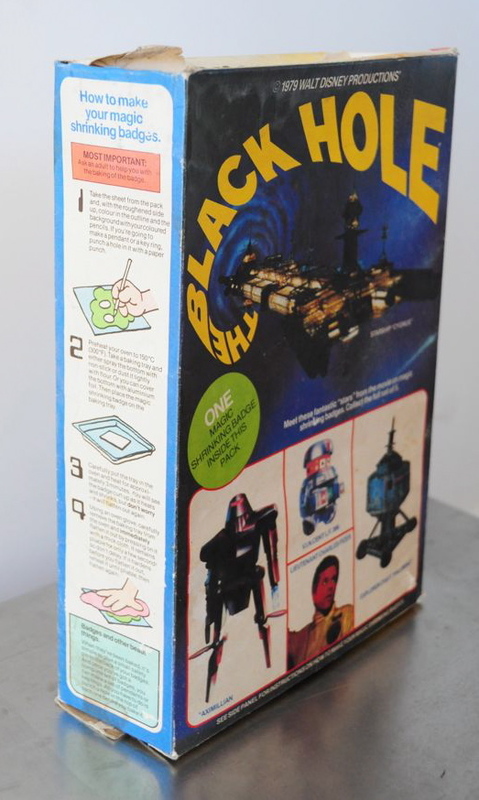 In the wake of Star Wars came a slew of wannabe space epics, but Disney did quite a respectable job with it’s 1979 production of “The Black Hole” . 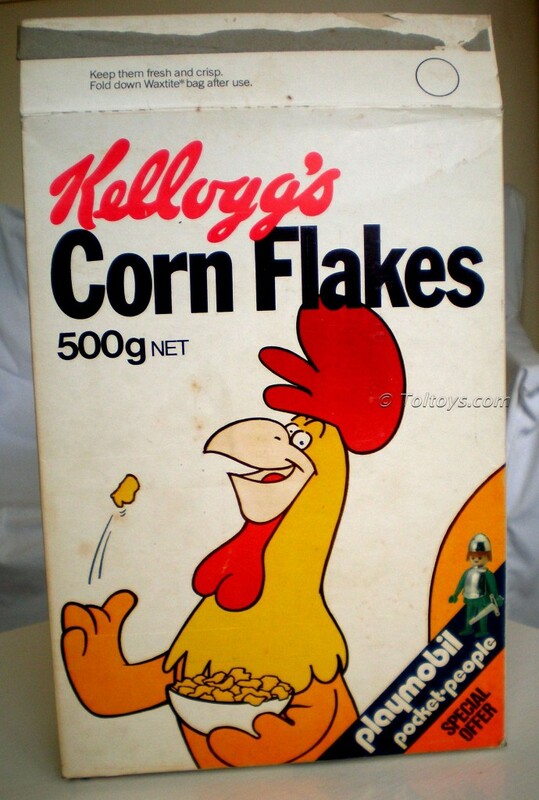 The robots had jerky actions and the actors were robotic, and let’s not mention the tinny sound and special effects, but as a nine year old I still ate it all up. I was able to eat it up at the breakfast table too thanks to the Weeties Black Hole promotional tie-in. 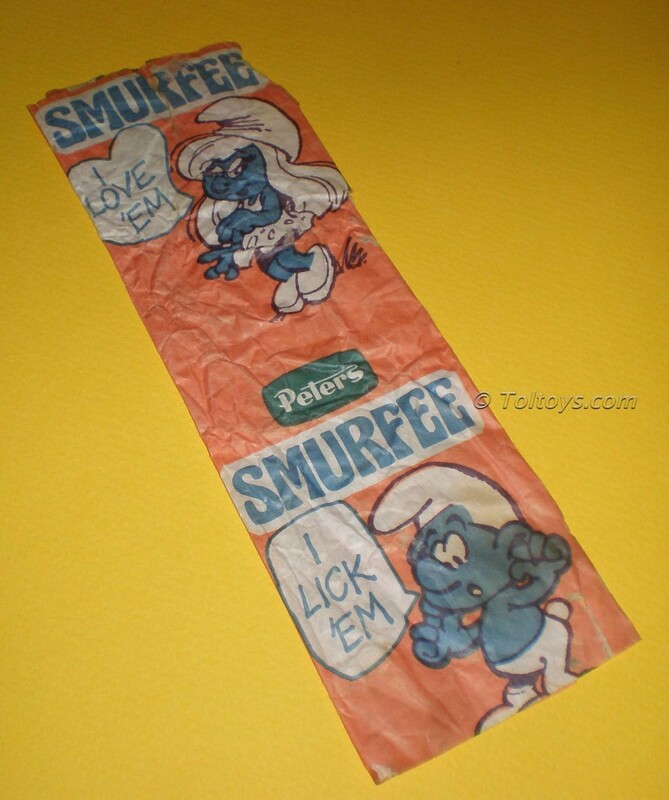 Each pack featured a “shrinking badge”, which I suppose was a type of shrinky – You remember those little plastic pictures your Mum put in the oven until the whole house smelt like burnt drinking straws? Yep those. 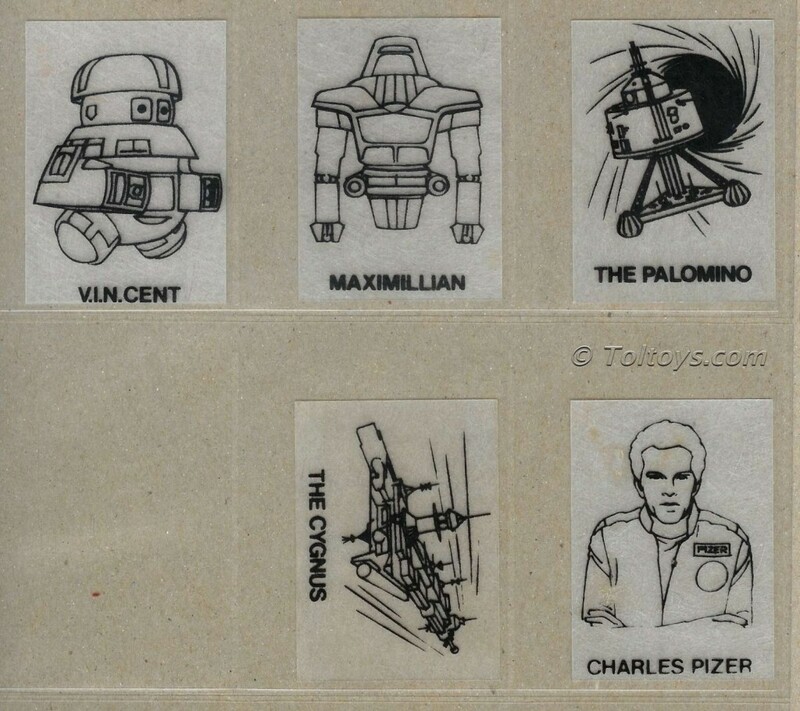 I’m sure I had the Vincent one but can’t find a pic, if any Aussies out there can contribute pics of the shrinkies I’ll add them here. 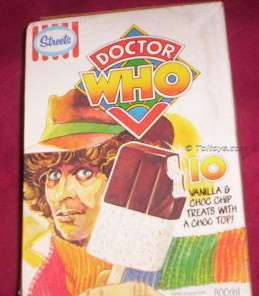 I’m sorry about the quality of the images, the box appeared on ebay Australia in 2010 and as often happens these days I was the under-bidder. Didn’t get the box, but I did get the pics! Er, hooray. 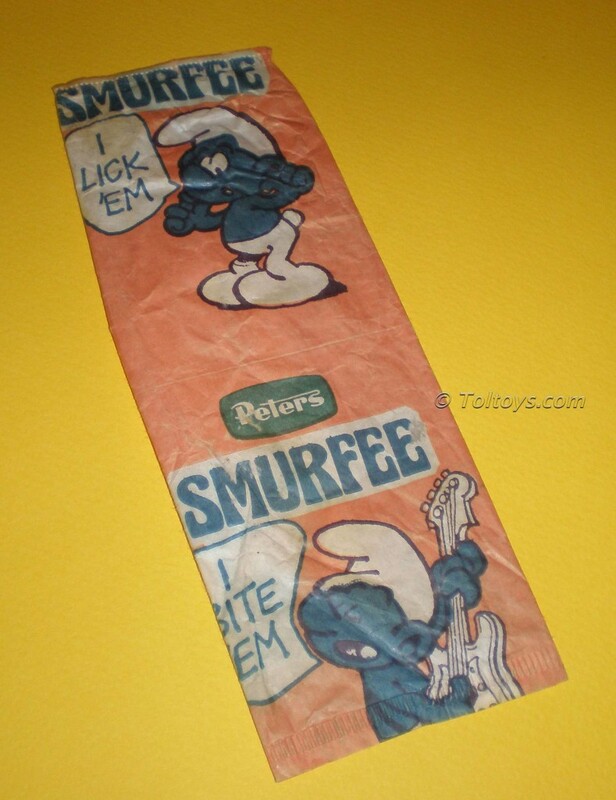 A few years ago I posted the Milk Bar store display for “Smurfee” Smurf ice creams, now here are three wrappers from that same 1979 release. I’m not sure why the wrapper above is in landscape while the two below are portrait. 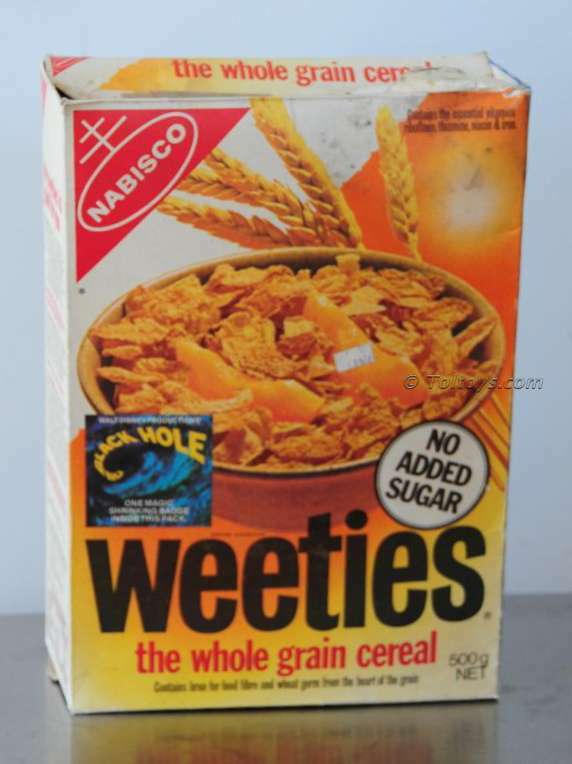 Possibly the difference was between those purchased in Milk Bars and those purchased in take home packs. Either way, I love ’em! 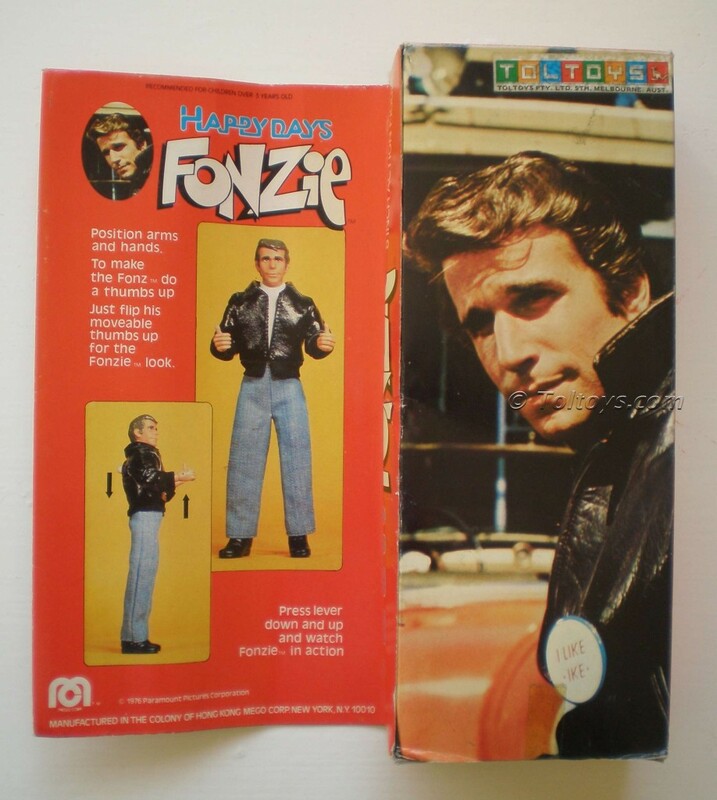 Continuing the theme of Toltoys stickered MEGO figures, here are three examples of Australian issued figures from the 1970’s Happy Days line, based on a the hugely successful US sitcom, we have Potsy, Richie and the Fonz. 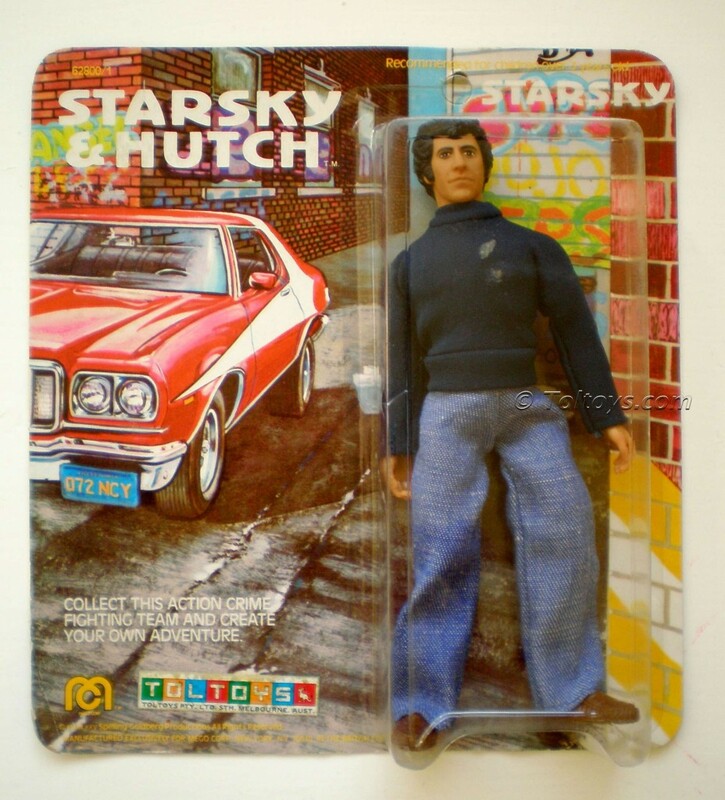 Not many toys captured the 70’s zeitgeist as well as these Starksy & Hutch action figures, inspired by the funky cop show of the same name. 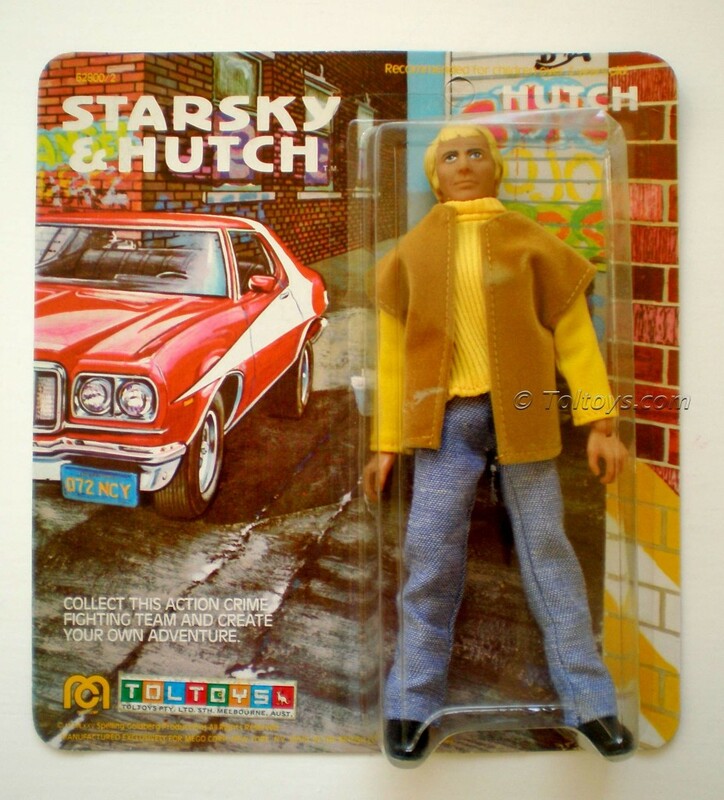 The figures below were part of the Mego range of S&H merchandise, the Toltoys stickers indicating these examples were Australian releases. Detective Comics Banned in Australia!